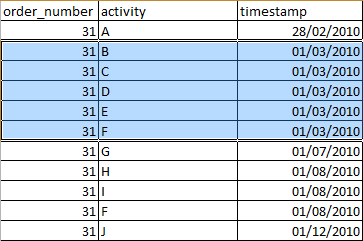 Considering the data (highlighted) having the same timestamp, would be possible to find as final answer the following petri-net attached in ProM? Are there some version of the ProM thats deals with multitasking? Are there some issue that I am skipping? Could you please include the pictures? Uploading does not work properly, so I suggest using imgur.com or tinypic.com to upload and link. Well, the assumption of most algorithms is that the events within a trace have an absolute order (e.g. strictly follow each other). start and complete information would be required for some algorithms to be able to detect this, although most wouldn't. you would need several traces where the activities appear in different orders for the model to be discovered by process discovery algorithms. There is not an easy answer to your question. 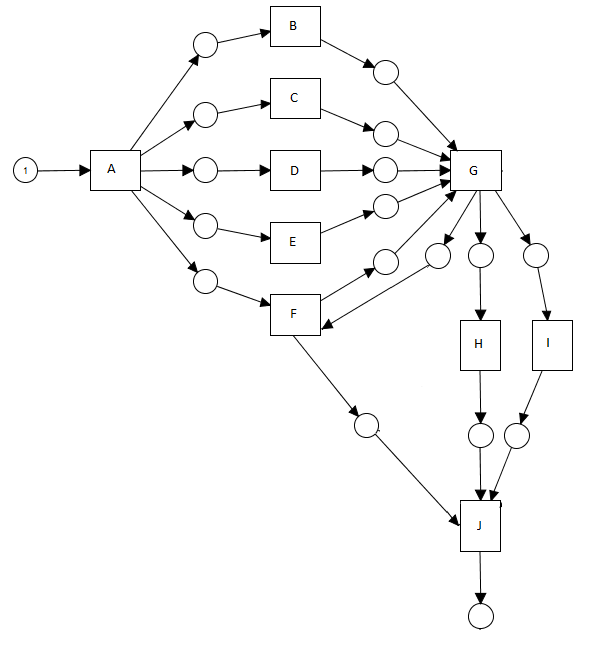 Each discovery algorithm has a different threshold when they interpret the activities as being executed in parallel. You don't need all possible combinations in your event log, just 'enough'. BTW: your Petri net contains a deadlock since activity F cannot fire if there is not token in the place from G to F.